Greece, Athens: SNG live uplink production. 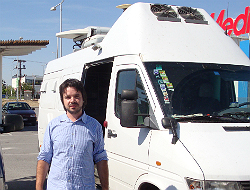 INA: Yannis Koligliatis knows all about the TV news business having worked as a cameraman for Reuters and the Greek networks. In doing so, he won awards and had some hairy moments such as being detained by Serb forces during the Bosnia conflict. His knowledge of the industry has served him well as during the past few years he’s built up the largest independent uplink supplier in Greece, INA, which possesses 12 SNG vehicles. In fact, partly due to the constant news surrounding the Euro and Eurozone members, INA has decided to expand by basing a satellite truck in Brussels. 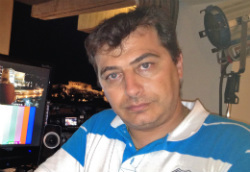 FADE: Former Visnews cameraman Fanis Despotidis remembers the days of having to race to Athens airport to send news cassettes back to London. Beating the opposition [in those days, WTN] was critical. Fanis is constantly looking at new equipment coming onto the market. Currently FADE has two flyaways and a Ku-band SNG truck. He’s now interested to invest in Ka-band and recently took delivery of some gear to test its performance. “In the next two or three years, Ka-band will become widely used as an additional way of transmitting video, alongside Ku-band,” said Fanis. Journal Street Productions is a new company formed in April 2012. It’s a collaboration between experienced journalists and the broadcast services company, ITTV. 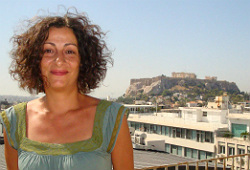 Gina Kalovyrna said they supply crews, editing and live shots of Parliament and the Acropolis. “We can do 4 to 6 live transmissions simultaneously,” she said. Atlas Sat: Located half-way between Athens and Greece’s northern border, Atlas Sat believes it’s based in an ideal position for servicing broadcast clients. The company has three SNG vehicles, one of which is a 4x4 designed to cater for any rough terrain. In addition, Atlas Sat has OB facilities. Currently 60% of their work is news and 40% sport.